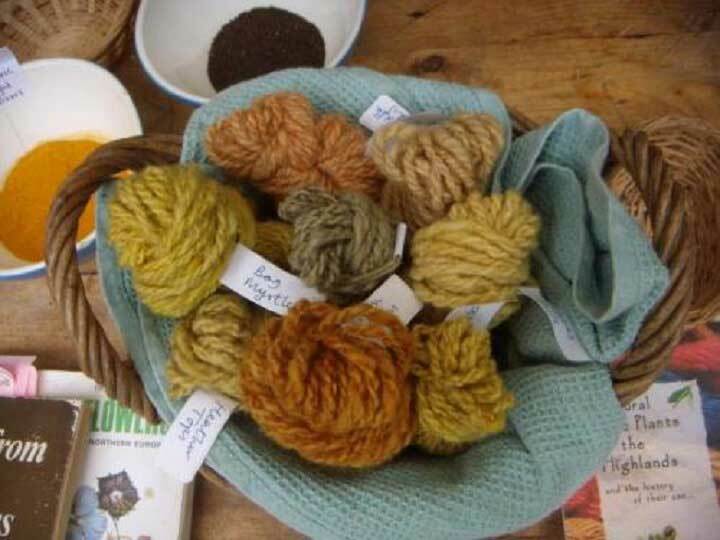 If you would like to learn how to naturally dye and spin your own wool/yarn, join us in the Highlands for our Dye to Spin week. A residential craft holiday in the Highlands of Scotland, where guests can learn the whole process, which leads them finally to hand spinning their own wool. We start the week watching a hand-shearing demonstration, which is then followed by sessions learning how to process fleece; washing, sorting and carding. 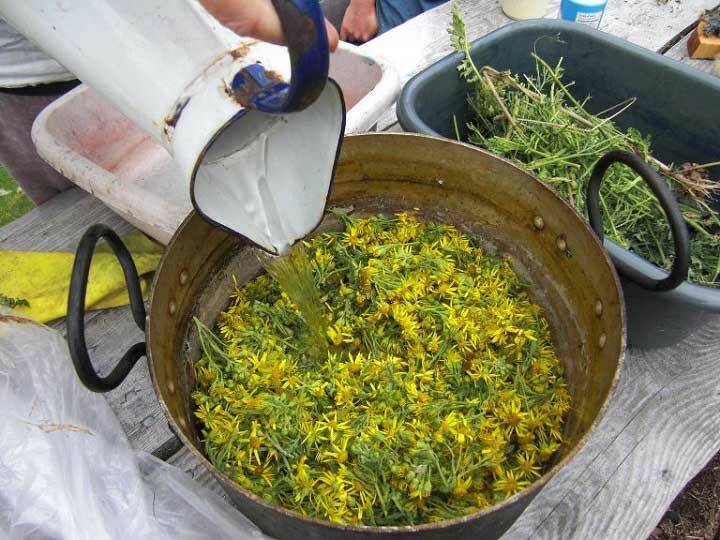 The next step is learning about natural dyes, foraging for dye plants, making dyes and dyeing the fleece, over open outdoor fires -the traditional way. We spend some time exploring the area, giving guests time to enjoy the beauty of glen Affric and the stunning waterfalls at Plodda. The last two days of the course are spent with Alison, learning or improving hand spinning skills. Alison has her own croft and flock of Shetland sheep, she runs Benloit Woollery and has been spinning for many years. Alison will guide beginners through step by step, allowing you to try different types of spinning wheels and those who are interested can have a go with a drop spindle. Although our week is aimed at complete beginners, improvers are also welcome. Improvers are welcome to bring their own wheels or use one of ours. We mostly use Shetland fleeces on our courses, but there will be opportunities to look at other fleeces found across Scotland. 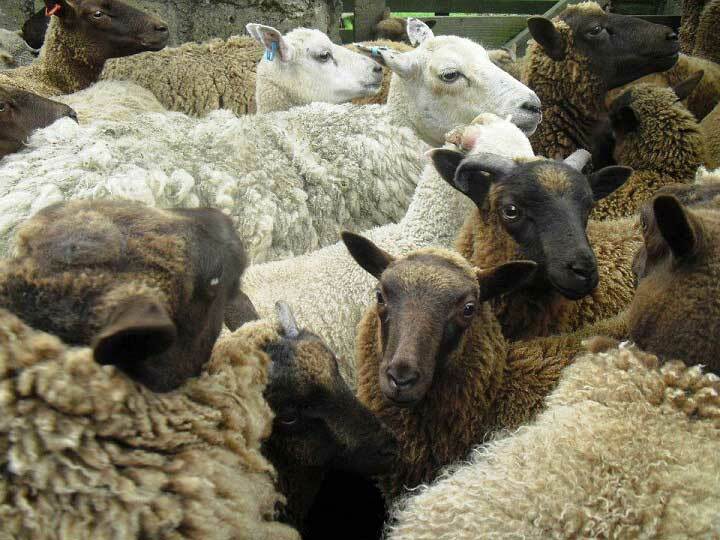 We find Shetland sheep easy to work with, as they are small and hardy and they give a soft, versatile fleece. 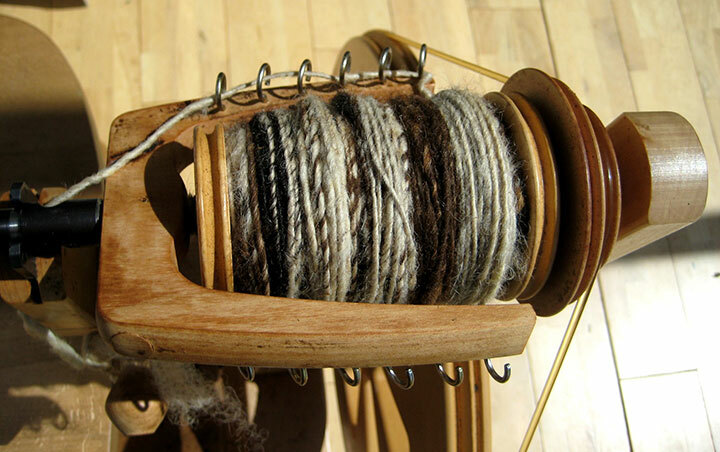 Shetland fleece is also a great beginner fleece when learning to hand spin. It is amazing what we manage to achieve in a week…from shearing, right through to colourful hand spun yarn. Completing this whole process in a week, will give participants the confidence and time to kick start a new skill. The week takes you through all the steps you need to start processing your own fleeces from scratch, a very satisfying and enjoyable process to be part of and understand; giving guests the chance to learn ancient skills they can improve on and take away, as well as offering a wonderful experience and a relaxing holiday. 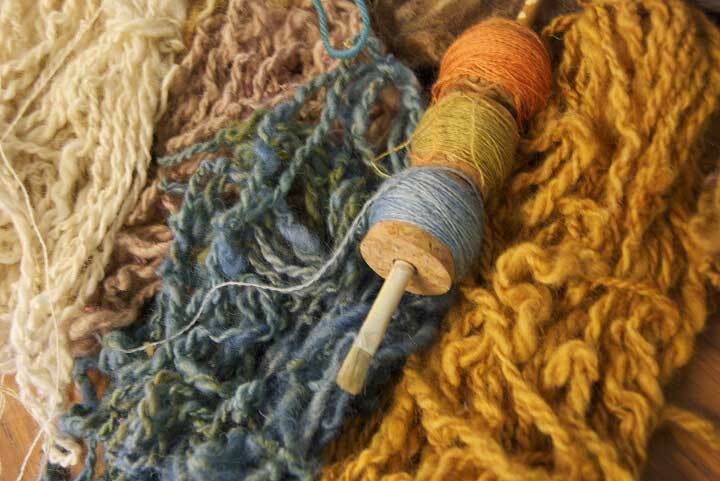 Create beautiful hand-spun yarn from scratch and have wonderful relaxing Highland experience as you do it! Guests stay at the Old Stables, which is nestled between farmland, the river and the woods. The large house has a homely feel and guests can choose an ensuite room, a double or to share a twin room with another guest. There are many stunning walks just outside the door, Corrimony cairn is just down the track and the RSPB reserve is across the river. A wonderful tranquil place, perfect for cosy evenings of craft. 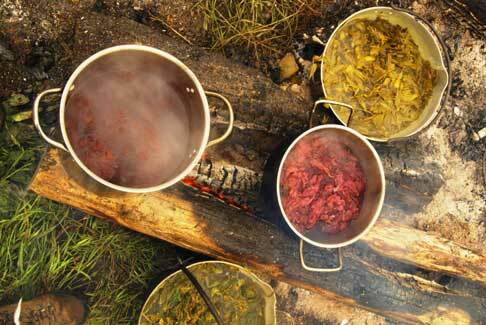 We love to cook and provide all the meals over the week, we are happy to cater for any dietary needs. We pick all our guests up from Inverness, which can be easily reached by plane, train or bus. Prices start at £895 (to share a twin room), £995 (double room), £1045 (double room ensuite).